This goes great with my Lamb Burgers or Decadent Scrambled Eggs and can be added to sooo many meals. 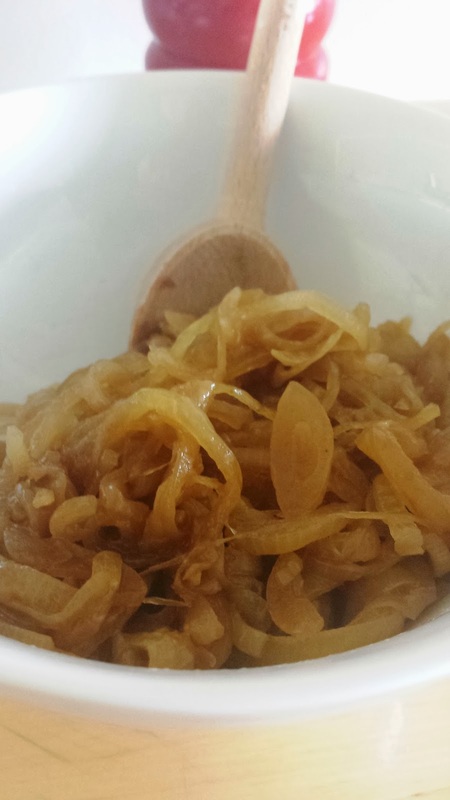 Onions turn sweet when cooked slow & a spoonful of honey (or rice syrup now I'm cutting out fructose) helps as well! Place all the ingredients except the vinegar into a pan on a high heat and stir for a couple of minutes before turning down to a low heat and simmering for around 25 minutes, stir every now & then so they don't stick. You want them to soften and turn golden brown. Add the vinegar and cook for a further 5 minutes. Will store in the fridge for up to a week. Enjoy!